두 살짜리 소년 장난감 트럭을 재생합니다. 총을 닫습니다. 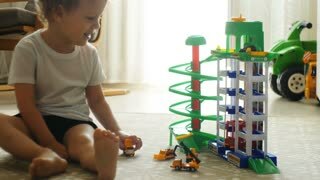 Two year-old boy plays with his mother and grandmother. 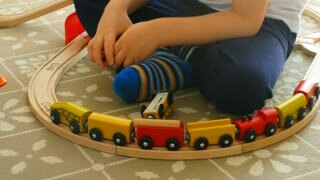 Two years old boy plays with wooden railroad in a sunny room.